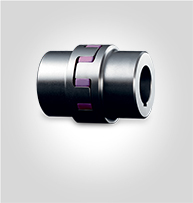 Complete range of flexible couplings including KTR ROTEX, (which can be combined with T-PUR Polyeurathane Spiders), POLY-NORM, and REVOLVEX. 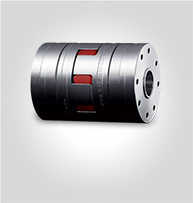 Extensive range of KTR BoWex & GEARex gear couplings. 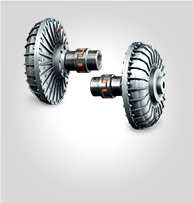 BoWex curved-tooth gear couplings (combine nylon & steel) and can operate at -25ºC to +100ºC. 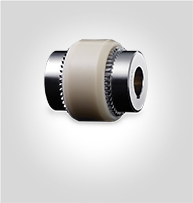 GEARex all-steel gear couplings, are flexible so suitable for positive torque transmission & can compensate for axial, radial shaft displacement. 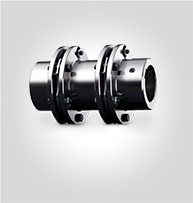 RADEX-N coupling is backlash free, torsionally stiff and maintenance free all-steel coupling, can be used in drives up to 280°C. 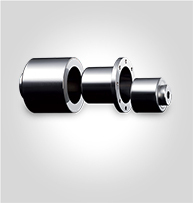 RIGIFLEX (N, N-A-H, HP-C & HP-L) are high performance steel lamina couplings designed for applications which require reliable and maintenance free torque transmission. BOWEX FLE-PA (Torsionally rigid). BOWEX ELASTIC. MONOPLASTIC. Pump Mounting Flanges. 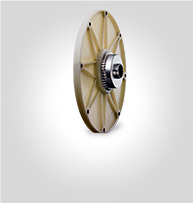 Inner and Outer Wheel drive for smoother start-up of machines.